The Ondo Basketball Association (OSBBA) has congratulated winners of the Western Conference 2017 Nestlé Milo Secondary School championship, Greater Tomorrow International College, Arigidi, Akoko, Ondo State. The Ondo State champion defeated University of Lagos International School in a pulsating final in the boys category last Wednesday by 43-38 points to book a place in national finals slated for Lagos from June 13th this year. Greater Tomorrow College took the game out of the sail of their much exposed opponent from jump-ball to the buzzer with youthful guard Ayobami Ojo who was adjudged the conference most valuable player (MVP) directing affairs of his team. An elated Ojo promised to provide a better quality at the national finals in Lagos, as Ondo State Basketball Association has promised to provide technical support to enable the school give a good account of itself when the national final dunks-off. Greater Tomorrow proprietor, Chief James Olatubosun Lawal thanked OSBBA Chairman, Segun Ikuesan for the gesture and says his school will welcome such opportunity to have one of the state’s coaches working with the team’s technical crew for the overall interest of Ondo State in particular and basketball in general. ‘I am delighted by the gesture of Ondo State Basketball Association to offer our school technical support ahead of the national final coming up in Lagos, we will put our best to reciprocate the gesture by doing well at the final. OSBBA Chairman, Ikuesan has mandated the state head coach, Shola Aluko to work out the modality of sending a coach to Arigidi Akoko as soon as possible while also taking into consideration preparation of the state women team – Sunshine Angels basketball club who are preparing for the third phase of the Zenith Bank Women Basketball League billed for Asaba, Delta State from June 20th through 27th. Rivers Hoopers guard, Victor James has assured that his team will continue to make up for the loss against Atlantic Conference leaders, Kwara Falcons when they continue their road trip this week. The KingsMen will head to Lagos to face two newly promoted sides, Nigeria Airforce (NAF) Rockets on Thursday before playing against Hoops & Read on Saturday. The Port Harcourt side lost their unbeaten run to Kwara Falcons Thursday last week in Ilorin, and despite bouncing back two days later with a win at Oluyole Warriors, the former Union Bank guard still cannot get over the loss against Falcons. “We will just go and do the things we usually do. We will just keep our heads up, put the loss against Kwara Falcons aside, and try to get wins for both games we are going for in Lagos,” James said. Despite beating NAF Rockets by 37 points on home court in round 1, James says they will not be underestimated. “We are not going to look down on any team. Hoopers have been able to study and know their kind of game after we played against them. We are going to give them exactly what they bring to us and not look down on any team,“ he reiterated. “We are going to take every game seriously as we go on.” James assured. In round 1 of the Kwese Premier Basketball League, Hoops & Read almost snatched a victory in Port Harcourt stretching the game to overtime (69-69). But Hoopers eventually won the game by 6 points (81-75). James, who also starred for Oluyole Warriors in the past believes the first tie against the new boys turned out the way it did because they were yet to familiarise with their game plan. “Hoops & Read are a new team in the league so it wasn’t easy getting to know their game plan and strategy. That was why the first game was like that. “But this one we will play against them in Lagos will be different, now we know them we know how to play them and that’s the most important thing when you play. “When you play among guys you have been playing with, you know what they can do but these are new set of guys they are young and they always run so you tend to study them so that you can play well against them. “I am assuring our fans in Port Harcourt that we will get both wins in Lagos.” James pledged. The International Cricket Council (ICC) today launched a series of technological innovations in partnership with Intel to be launched during the Champions Trophy getting underway in the UK on 1 June. With the focus firmly on enhancing the tournament experience for fans, players, media and broadcasters, the innovations will use data, analytics and visualisation and ensure cricket remains at the forefront of technological advancements. The technology being introduced at the ICC Champions Trophy includes an Intel drone that will provide advanced pitch analysis, a bat sensor powered by an Intel® Curie™ module that will allow for profiling of the bat swing and a VR experience for fans at the stadium. Intel Sports Group Vice President Sandra Lopez highlighted the role of technology in transforming the way we play and view sports. With higher levels of digitization, Intel is in a unique position to enable the sports industry to capture and analyze data to uncover and respond to new insights in real time. “Our goal is to lead the way forward into the digitization and personalization of sports, transforming the way fans and athletes experience sports,” Lopez added. In a first at the Champions Trophy, the Intel® Falcon™ 8 Drone, equipped with HD and infrared cameras will be used for advanced pitch analysis before every match. Images captured by the drone will offer rich visual data on pitch conditions such as grass cover, grass health, and topology, which will be used to generate daily pitch reports leveraged by commentators during broadcasts. The new bat sensor powered by the Intel Curie technology that can be mounted on any cricket bat to generate data for every stroke that the batsman plays. With this technology, parameters like back-lift, bat speed and follow-through can be tracked for every cricket stroke. Several batsmen will use these bat sensors in the games at the 2017 Champions Trophy, enabling new insights on stroke play and rich story-telling in broadcast. Analytics from the sensor will be available for fans to analyse. Speculur Managing Director Atul Srivastava added, “Speculur BatSense with Intel Inside has the potential to transform cricket across a varied audience from coaches to aspiring self-taught cricketers.” “Coaches can use their insights and expertise along with the bat sensor data to make specific adjustments to a batsman’s technique ultimately helping him perform better,” Srivastava added. Speculur also announced plans to bring this technology to consumers later in the year. With Speculur BatSense, hundreds of thousands of young and aspiring cricketers will soon be able to measure, track and improve their batting skills. Speculur plans to make Speculur BatSense with Intel Inside available in Australia, India, the United States and the UK in the second half of 2017. Intel is also showcasing innovative experiences for in-stadium fans. Virtual Reality (VR) experience zones at The Oval and Edgbaston will allow fans to experience facing a virtual bowler in an immersive cricketing environment. Using a head mounted display (HMD), the player will be able to test his or her batting skill against a virtual bowler. Using the Intel Curie technology enabled cricket bat, the player will be able to see data from their swing such as bat speed and back-lift angle as well as a simulated score from the VR session. Intel, the Intel logo, Intel Falcon and Curie are trademarks of Intel Corporation and its subsidiaries in the United States and other countries. The best African players will on Wednesday May 31, begin their campaign for honours in the men and women singles event of the 2017 ITTF World Championships holding in Dusseldorf, Germany. From the best ranked African – Aruna Quadri, the journey to the podium will ignite the venue of the championship as the 2014 ITTF Star player has been pitched against Chile’s Gustavo Gomez in the first round of the men’s singles. Aruna Quadri is hoping to enjoy a lot of support from the German fans following his exploits in the city of Dusseldorf when he stunned the world to become the first African and Blackman to make it to the quarterfinal stage of the ITTF World Cup. Also his performance at the Rio 2016 Olympic Games is still fresh in the memory of the Germans as the Nigeria bundled out German star, Timo Boll in the fourth round of the men’s singles to become the first African to make it to the quarterfinal of the Olympic Games. Olajide Omotayo (NGR) caused one of the upsets in the preliminary round of the men’s singles before exiting the tournament at the knockout stage of the 2017 ITTF World Championships holding in Dusseldorf, Germany..
Also like Aruna Quadri, Omar Assar is a known face to the Germans as his performance against some top German players in recent time is a testimony to the potential of the African champion. Omar Assar is expected to face Italy’s D. Rech. Egypt’s trio of El-Sayed Lashin, Ahmed Saleh and Mohammed El-Beiali will battle Austria’s Stefan Fegerl, Denmark’s Jonathan Groth and Russia’s Alexander Shibaev respectively for places in the second round. In the women’s singles, Nigeria’s Olufunke Oshonaike will face similar situation that panned out for her at the 2015 edition when she was pitched against the eventual champion and world number one – China’s Ning Ding as the African champion will face Asian Champion, Japan’s Miu Hirano in the first round. Egypt’s Dina Meshref and Yousry Helmy will square up against Chinese Taipei’s duo of Ching-I Cheng and H Cheng in the first round of the women’s singles on Wednesday May 31. Action for the Liebherr 2017 World Championships has commenced, 29 May 2017, at the Messe Düsseldorf, Germany, with the table tennis stars from all around the world fighting for a spot in the main draw in the singles and doubles events. Countries from far and wide were on show in the impressive stadium in Dusseldorf, French Polynesia v Panama and Turkmenistan v Congo Republic were just some of the interesting match ups on show today. Olympic sailing will make a return to Santander, Spain for the finale of Sailing’s 2017 World Cup Series from 4-11 June 2017. Across two weeks of competition in 2014, 400,000 spectators were treated to an elite competition and cultural festivities. Fast forward to 2017 and anticipation is rising once again as the city combines sport and entertainment for the World Cup Final. All Olympic medallists qualified automatically for the 2017 World Cup Final. Rio 2016 gold medallists Giles Scott (GBR) and Peter Burling and Blair Tuke (NZL) will be in Bermuda for the America’s Cup so will miss out on Santander. However, their fellow gold medallists, Dorian van Rysselberghe (NED), Martine Grael and Kahena Kunze (BRA), Hannah Mills (GBR) and Marit Bouwmeester (NED) will all be in Santander, looking to add to their growing list of accolades. The World Cup Final will be van Rysselberghe’s third outing following Rio 2016. The Dutchman recently took gold at the Delta Lloyd Regatta in Medemblik, The Netherlands and he will be full of confidence heading into Santander. Van Rysselberghe made history at Rio 2016, becoming the first windsurfer to successfully defend an Olympic title. The Dutchman claimed Rio gold in style and if he comes close to replicating that form in Santander he will be a hard man to beat. Louis Giard (FRA) is the form sailor in the Men’s Windsurfer having won gold at both World Cup Series events in USA and France as well as the European Championships. He will be aiming to continue his winning streak at the World Cup Final. Poland’s Piotr Myszka defeated the Dutchman and Frenchman at the 2016 World Championships, claiming gold, and will be on the startline in Santander and amongst the favourites. Further contenders include World #1 Mateo Sanz Lanz (SUI), World #3 Kiran Badloe (NED) and World #4 Ivan Pastor (ESP). Four Olympic medallists will line-up in the competitive Women’s Windsurfer fleet in Santander. London 2012 Olympic gold medallist Marina Alabau (ESP), bronze medallist Zofia Klepacka and Rio 2016 silver and bronze medallists, Peina Chen (CHN) and Stefania Elfutina (RUS) will all be on the start line. Klepacka is the form racer, winning all four of her previous regattas including the 2016 World Cup Final in Melbourne, the recent World Cup Series event in France and the European Championships. World Cup Series USA winner Yunxiu Lu (CHN), World #4 Isobel Hamilton (GBR) and World #6 Noga Geller (ISR) will also be amongst the frontrunners. Rio 2016 Women’s 470 gold medallist Hannah Mills (GBR) stepped away from the two-person dinghy after the Olympic Games to try her hand at the Women’s Skiff, 49erFX. She will be temporarily back in the two-person dinghy at the World Cup Final, sailing with Eilidh McIntyre. Although Mills’ credentials speak for themselves, she is not necessarily the favourite for the title. Dutch racers Afrodite Zegers and Anneloes van Veen have been unstoppable in 2017, winning six consecutive regattas including the American and French legs of the World Cup Series. After Rio 2016, most of the Women’s 470 Olympians opted to explore new routes in sailing, enjoy a period of rest or retire. Zegers and van Veen wasted no time in getting back into the groove and are reaping the rewards. The Women’s 470 fleet will also feature London 2012 Women’s Match Racing gold medallists Sofia Toro and Angela Pumariega (ESP). Recently crowned Men’s 470 European Champions, Carl-Fredrik Fock and Nicolas Dackhammar (SWE) will enter Santander in good form. However, Rio 2016 bronze medallists Panagiotis Mantis and Pavlos Kagialis (GRE) will be hunting hard for their first World Cup gold. And in the Nacra 17, World Cup USA winner Ben Saxton, sailing with Katie Dabson (GBR) and World Cup France gold medallists Fernando Echavarri and Tara Pacheco (ESP) will spearhead the 14-boat fleet. Racing at the 2017 World Cup Final in Santander, Spain will commence on Tuesday 6 June at 12:00 local time. Live Medal Races on Saturday 10 and Sunday 11 June will bring the 2017 series to a close. It was a mixed fortune for African players at the ongoing ITTF World Championships holding in Dusseldorf, Germany as Nigeria, Tunisia and Egypt recorded victories, while Algeria, Congo Brazzaville and Cote d’Ivoire suffered defeats. The first African team to experience defeat was Algeria with the pair of Islem Laid and Naim Karali losing 3-0 in the mixed doubles event but Tunisia’s Fadwa Garci and Kerem Ben Yahia recorded a convincing win against their opponent in the same event. 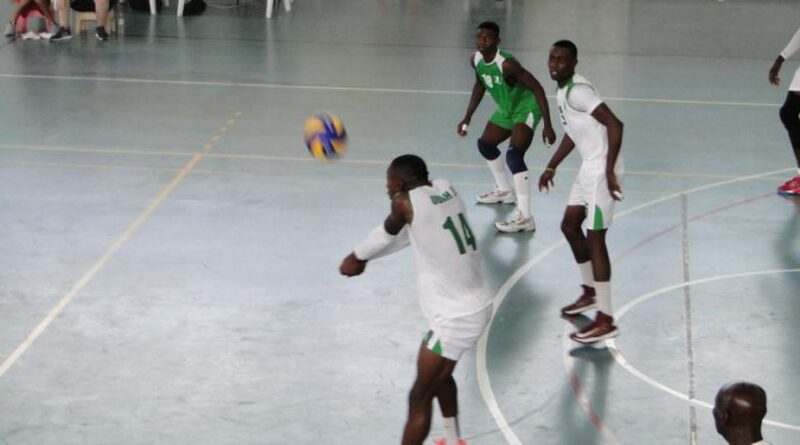 The men and women players from Cote d’Ivoire were no match to their opponents as they all suffered defeats in the singles and doubles events of the championships. The biggest casualty in Africa was Congo Brazzaville’s Saheed Idowu, who was beaten 4-1 by Lebanon’s Mohamad Hamie. However, Nigeria, Egypt and Tunisia were the winning sides on day one of the championship with Olajide Omotayo and Ojo Onaolapo walloping their opponents 4-0 in the men’s singles preliminary while Egypt’s Farah Abdel-Aziz and Yousra Helmy recorded same feat against their opponents in the women’s singles preliminary. African cadet champion, Tunisia’s Fadwa Garci is having a lifetime experience as 15 year-old kicked off her maiden appearance at the 2017 ITTF World Championships with a 3-1 win in the mixed doubles event. Fadwa Garci who brought honours to her country with her superb performance at the 2017 ITTF African Junior Championship held in Tunis after conquering the continent beating some of the top seeds to claim the title. Fadwa Garci and Kerem Ben Yahia (TUN) during the mixed doubles event in Germany on Monday, May 29, 2017..
Apart from competing against the best in Germany, Fadwa Garci is hoping to pick a lot of lesson from Dusseldorf.